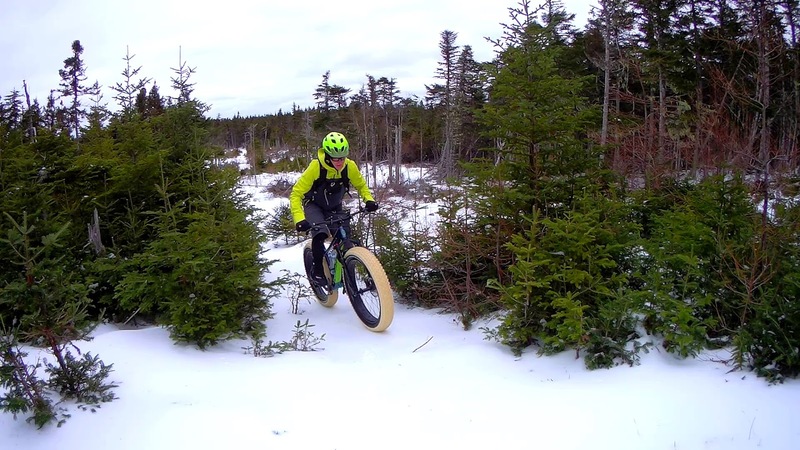 For many folks fatbiking is a four season all weather sport and that means the need for different clothing for different conditions. 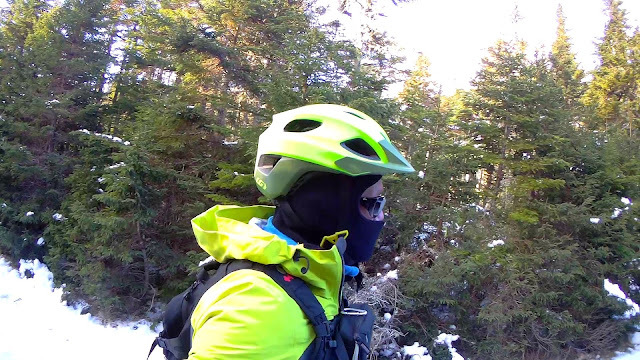 I have pulled together my riding ensembles over many seasons trying various shoes, boots, base layers, jackets, pants, shorts and gloves until I found something that works for me. I’m relatively hard on my riding gear and that sometimes leads to an eclectic yet comfortable style. 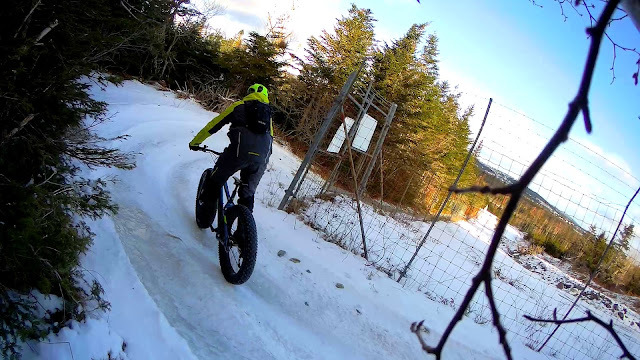 So when folks at Canadian based Garneau asked if I would be interested in testing some of their new cold weather fatbike flavored clothing, I jumped at the chance to torture some of their technical riding gear. How it's made – Materials, construction and design. 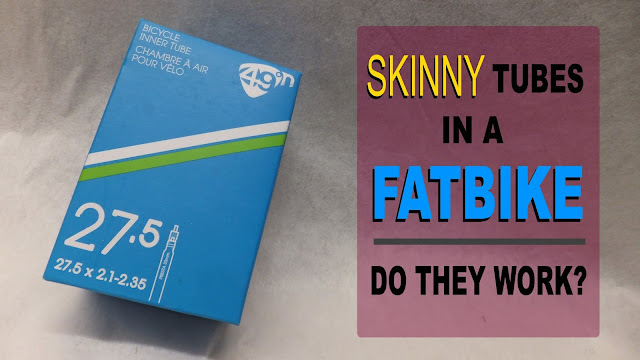 How it fits – Sizing charts and how it feels. 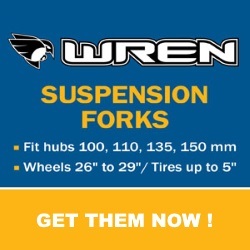 How it performs - Functionality, durability and protection. 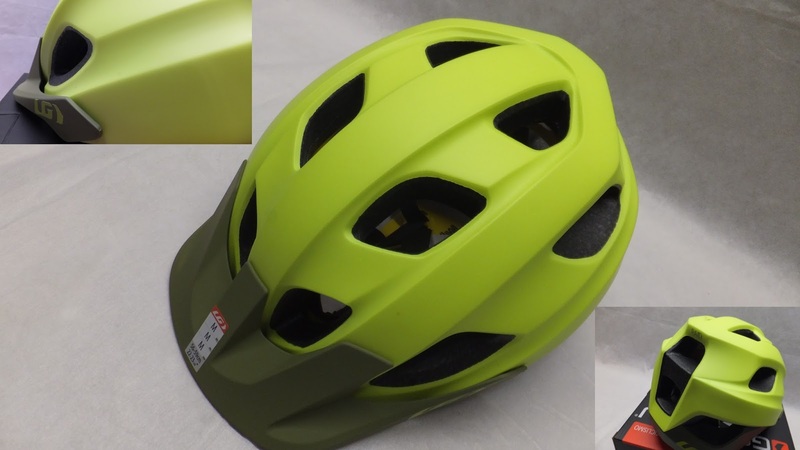 Packaged in industry standard packaging, the bright yellow and green RAID MIPS Cycling Helmet helmet really popped inside the black Garneau box. The helmet felt quite light with a confirmed weight of 358g. Other helmets in my inventory were a little heavier. Looking over the helmet there are 14 vents which are super for summer cooling, but would it be too much for the cold winter riding? The visor was adjustable and had three position settings. Out back, I really liked the way the helmet swept lower to give more protection to the back of the head. Peeking inside the helmet you will find equally bright webbing and padding held in place with grey strapping. 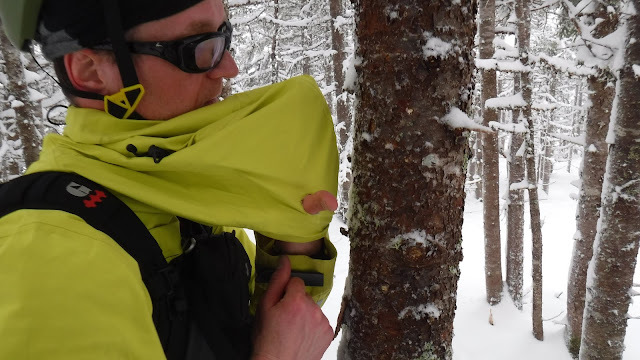 Using the XT2 technology, the fast-drying antimicrobial material keeps the padding fresh. 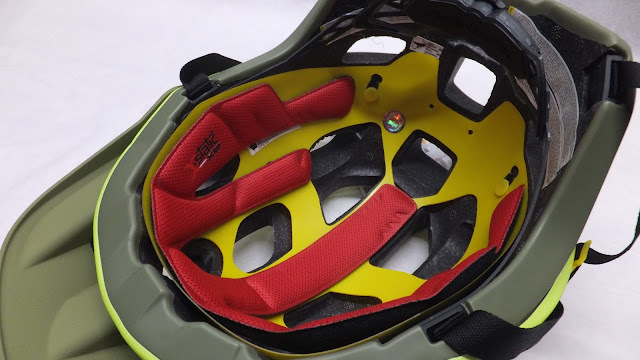 Technology inside the helmet includes: the Multidirectional Impact System (MIPS) that is touted to protect the brain from rotational impacts common in bike crashes; Spiderlock 4D fit system that stabilizes the helmet by controlling side and height adjustment; and the Tri-Glide PRO strap system that allows you to easily fine-tune the position of the helmet's straps. But how does it really fit? Usually my cranium requires a size large in helmets, but based on the Garneau sizing charts I cautiously selected a size medium. The folks at Garneau say that the Providence Bib Cycling Tights are their all-around tights if you enjoy cold-weather endurance sports. Light WindDry 2 - offers protection against cold, water and wind and is located at the front, lower front and back. Polartec® Light Wind Pro - wind-breaking and breathable hard-face knit (four-way stretch) with brushed back and is located at the knees. HeatMaxx – four-way stretch knit with brushed back and is located on the inside of the bid to retain heat. 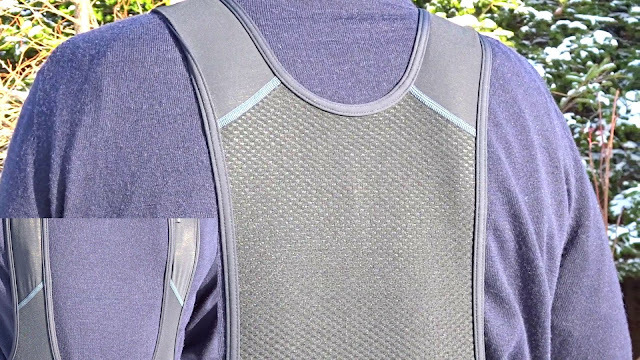 Polartec Highlander Mesh: Four-way stretchable mesh located at the top of the bib and the straps. Other features of the bib include: flatlock seams to reduce rubbing; zippers at the ankle/calf, silicone-like ankle grippers inside the cuff and reflective accents to help you be seen during the night in these jet black tights. 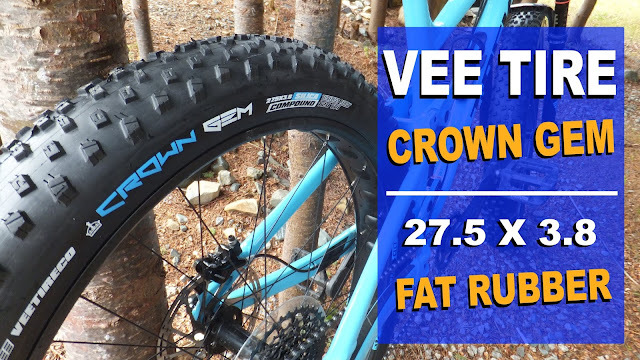 I selected a size large for my measurements and I was really curious on how they would fit my less than svelte fatbiking frame. 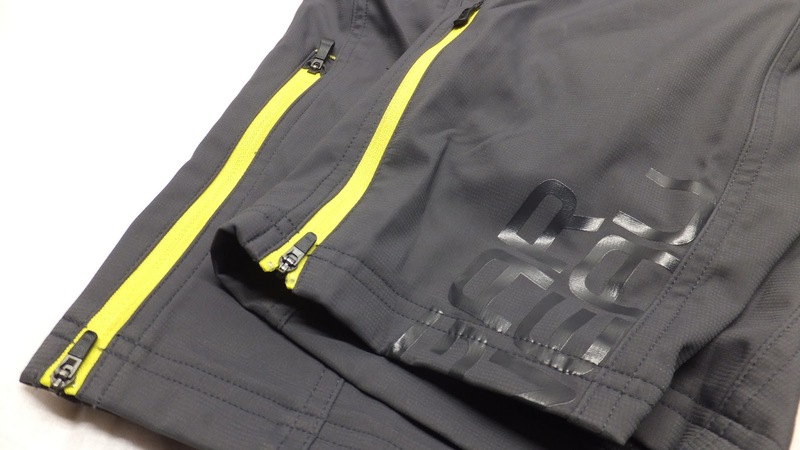 Garneau took the best features of their mountain biking shorts and incorporated them into this cold weather version. The Off Season Shorts are made from an abrasion resistant, two-way stretch fabric (Enertec) that is windproof, water resistant and breathable. This two-ply bonded softshell has a brushed back and is lined with Drytex to retain body heat. 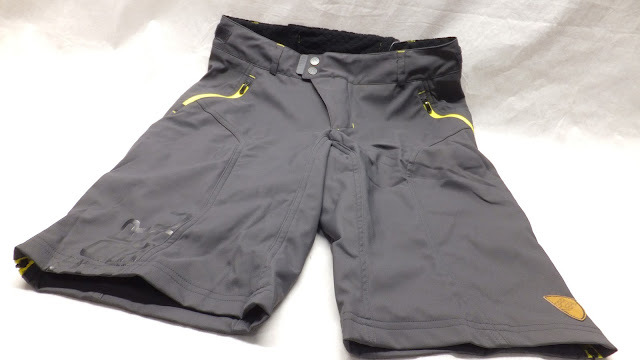 The shorts have two zippered front pockets and one rear waist pocket with a large ring zipper pull. An adjustable waist with belt loops and Velcro tabs compliment the zip fly with snap and hook-and-eye closure. 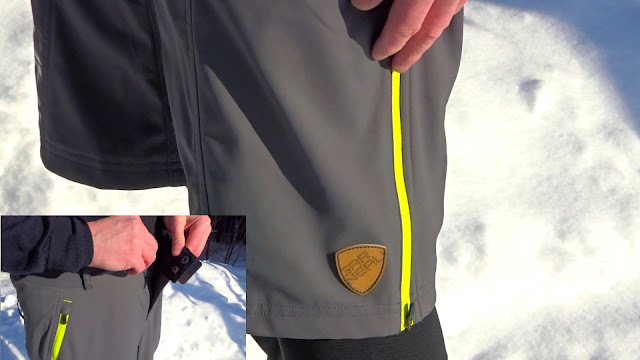 An outer loop system secures to the powder skirt on the 4 Seasons Hoodie Jacket to ensure you are buttoned up tight and the 12” inseam should fall just above the knee. Once again, I ordered a large as per the Garneau sizing charts. 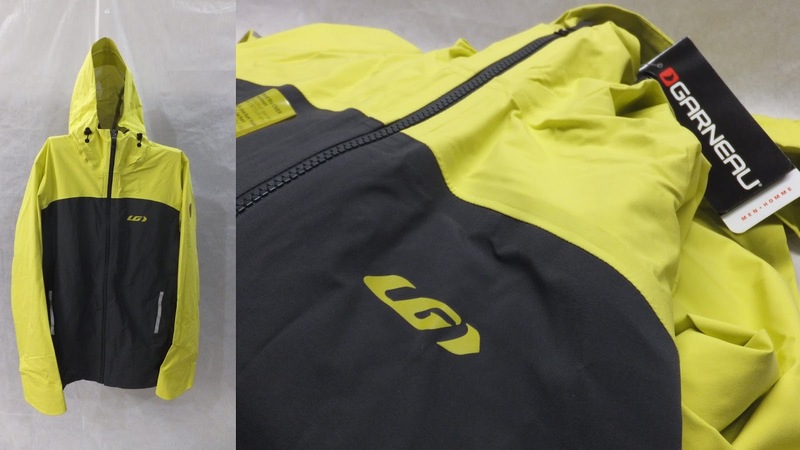 Garneau built the 4 Seasons Hoodie Jacket from a 2-way stretch, 3-ply waterproof, windproof and breathable fabric so it acts as a shell to protect the rider from wind, rain, and snow. 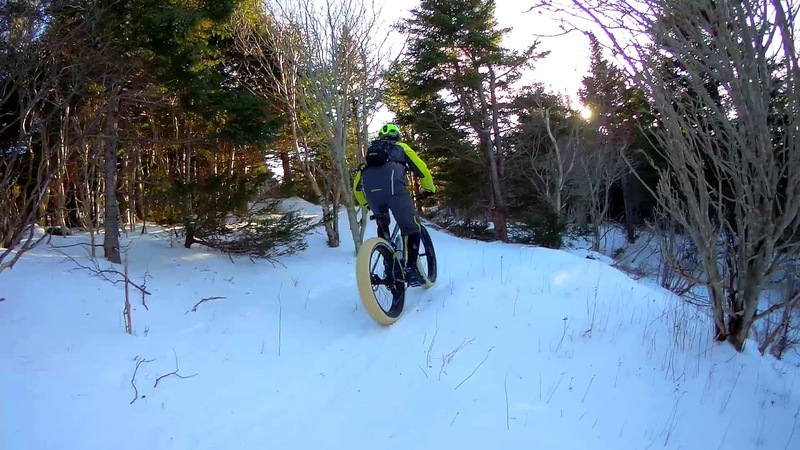 It is made for cold weather riding. 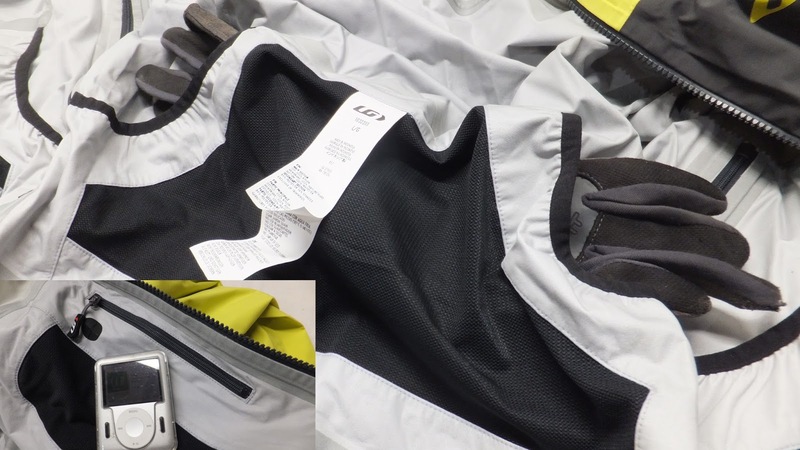 The sealed seams and full length waterproof zipper should keep you dry, while the pair of 2-way side zippers provides ventilation so that you do not overheat. 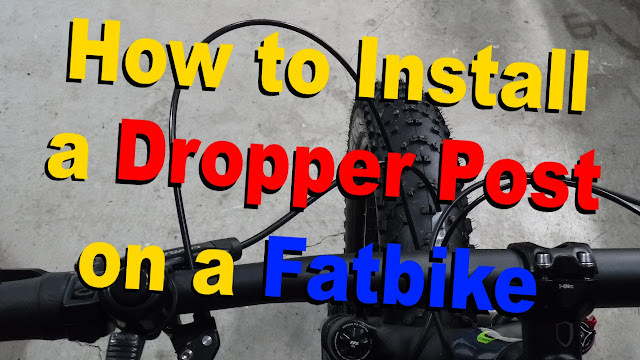 We all know that just because it’s cold in winter, does not mean you will not sweat when riding your fattie. 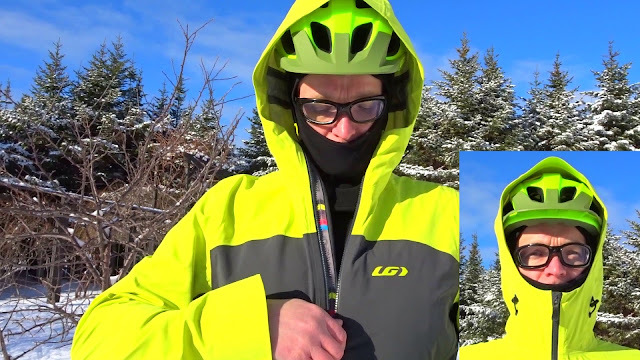 A four snap powder skirt inside the jacket will keep the snow and cold from creeping in, while the extra large hood will fit over your helmet if it gets extra cold or starts to freezing rain. The velcroed cuffs will also help cut down on unwanted drafts. 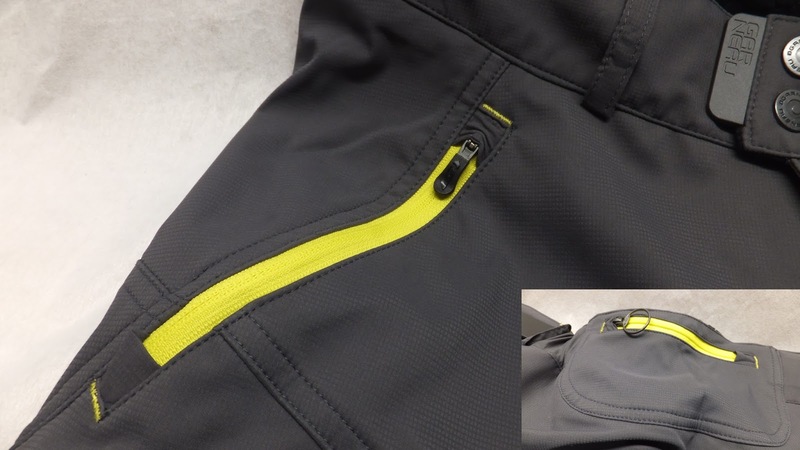 An inside rear kangaroo pocket and side pockets are said to be accessible through the side ventilation zips. And there is a handy zippered multimedia pocket inside the upper left breast that is good for a phone or MP3 player. 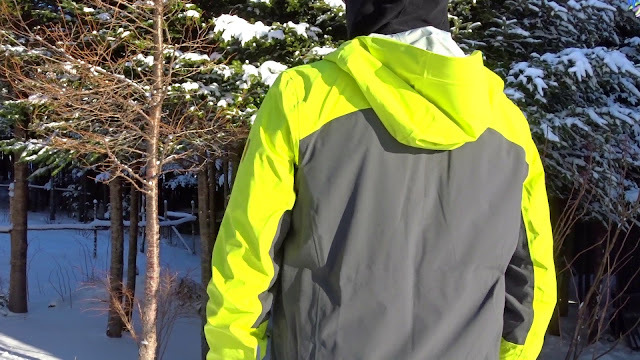 The bright yellow of the 4 Seasons Hoodie Jacket does play well against the yellow and green of the RAID helmet. Based on the Garneau charts I selected a size large, which is what I would have anticipated. 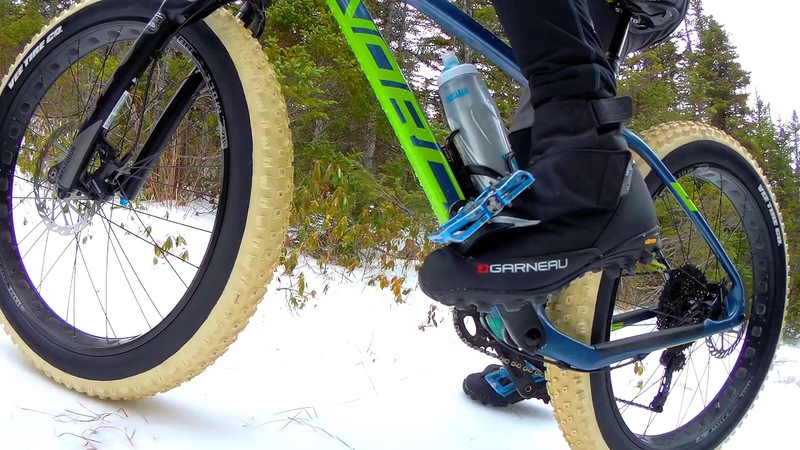 Garneau calls this a cycling shoe, but to me it looks more like a mid height boot - either way the Klondike certainly packs a whole bunch of high tech features. 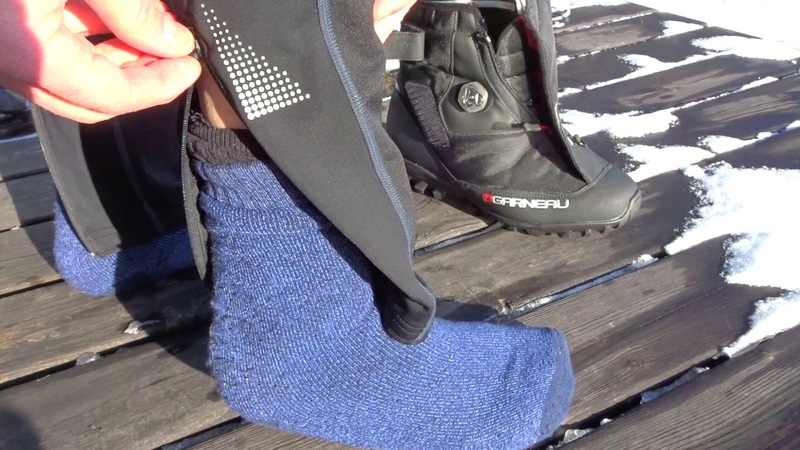 This boot was designed with a triple E last to allow for a higher volume in the boot which is perfect for the heavier socks generally worn during winter riding. 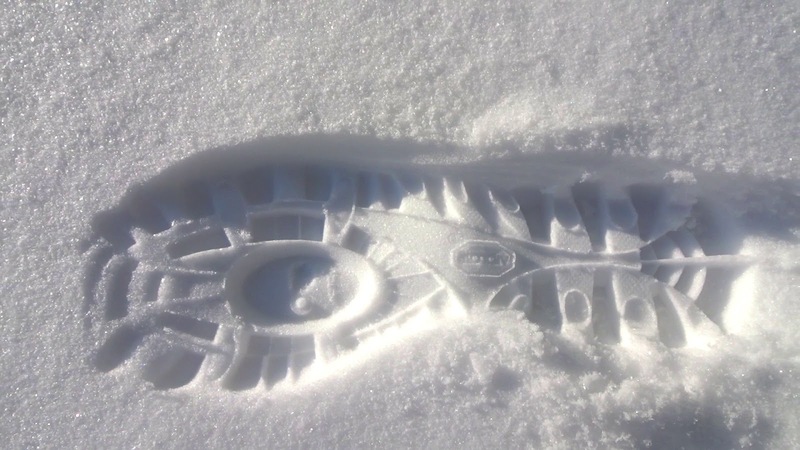 Starting with the bottom, the Klondike has a soft rubber heavy lugged Vibram sole that is SPD compatible. The exterior of the boot is made from water repellent, abrasion and tear resistant Cordura 1680D nylon fabric with a Neoprene cuff that provides a snugger fit. There is a gator D-ring on the toe, silicone elastic at the cuff and reflective material round out the outside of the Klondike. 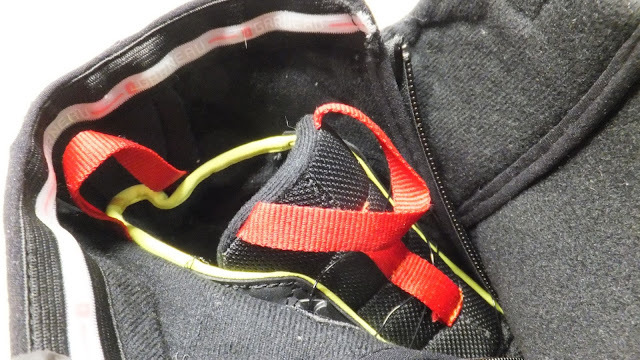 Keeping the boot closed is a Velcro loop-strap at the top, another large Velcro point on the outer instep and full length tongue zipper with large pull. This boot is not going to fall off your foot. 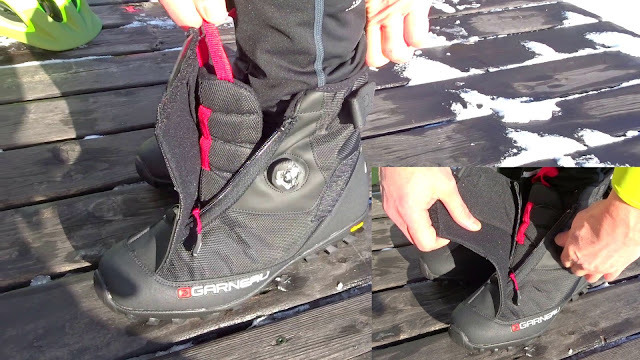 Once inside the boot you will find a “bootie” made from 400g of Thinsulate insulation that compliments a three layer insole meant to keep your feet warm. Two red pull straps sewn into the boot will help in pulling them on. 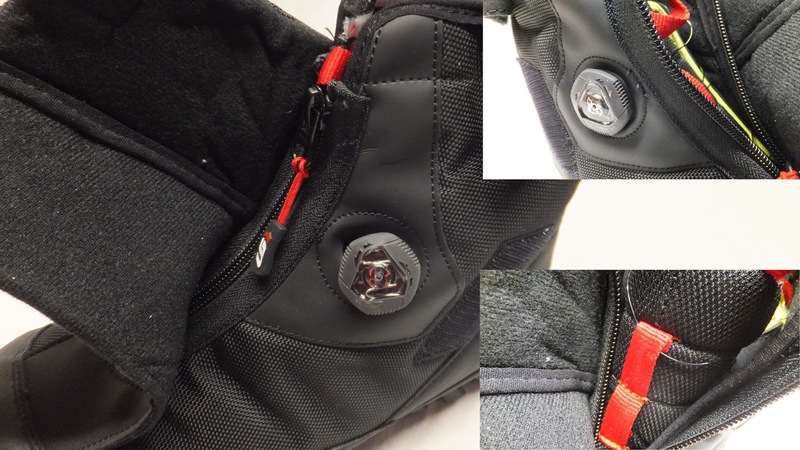 Probably the most interesting feature of this boot is the Boa Closure System. In simple terms it’s like a layer of very thin wires crisscrossed on top of the bootie, like laces. These wires are connected to a dial on the outside of the boot, when rotated the wires snug the boot to your foot evenly distributing the pressure. Pulling out on the dial will allow a quick release of tension. It’s a pretty interesting feature. I normally take a 42 in a shoe/boot, however did go through the sizing procedure on line and confirmed that size 42 was indeed correct. 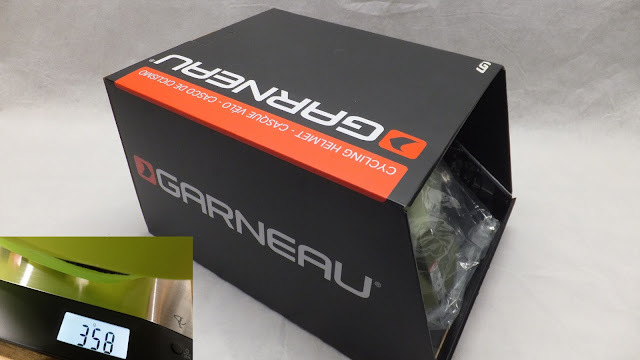 Although Garneau have their products available at distributors throughout Canada and the US, these particular items were not available in my neck of the woods. 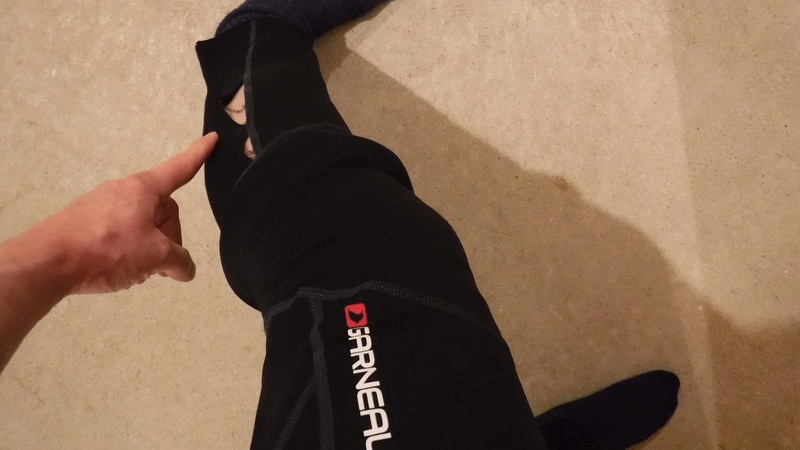 Not being able to test fit the clothing, I put my full trust in the Garneau sizing charts found on their website and waited impatiently for the items to arrive. Unboxing the RAID Helmet it certainly looked like it would fit. 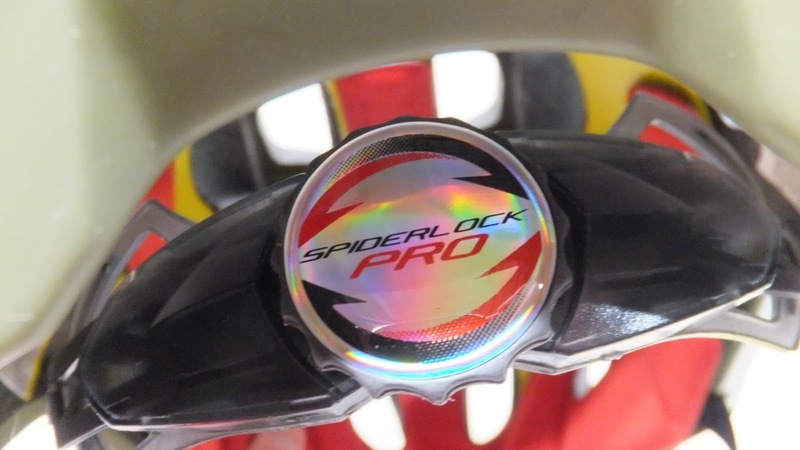 Spinning the Spiderlock dial on the rear of the helmet, I dropped the lid on my bare head and there was sufficient room around the circumference of my skull. And tightening up the helmet resulted in a snug and comfortable fit. Adjusting the chin strap and snapping it shut was a simple process and did not affect the overall comfort of the helmet. 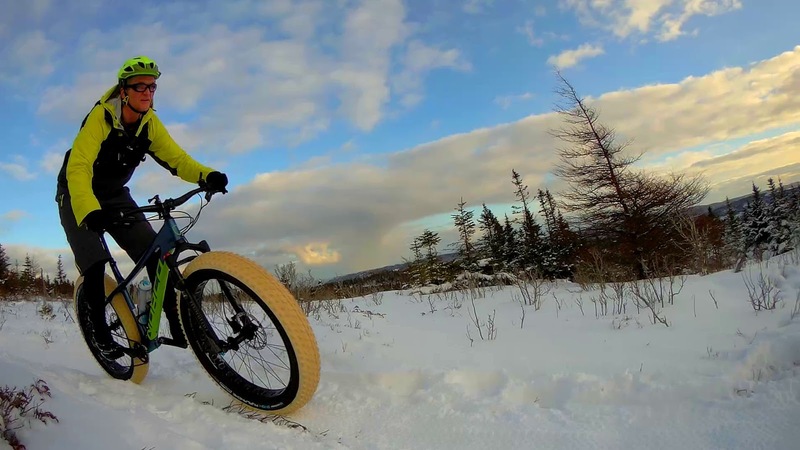 However, wearing a helmet without additional insulation during the winter is asking for trouble. I pulled on my favourite balaclava and repeated the helmet fitting process. As my skull was pushing the limits of the sizing chart for a Medium RAID Helmet I was expecting this to be an overly snug fit. I was quite happy to discover that there was still a little wiggle room and tightening up the helmet resulted in the same comfortable fit. To protect my lower extremities I normally wear looser fitting water resistant nylon pants, so squeezing into the form fitting Providence Bib was going to be a new experience. I was a little nervous trying on the bib as my 5’11” frame is less than svelte with an ever so slight bulging around the spare tire area. This was going to be interesting. Opening the zippers on the lower legs allowed my feet to slip through more easily. Pulling the bib up over my calves, thighs and mid section was less than a monumental task. Not having a swimmer frame the Providence Bib hugged every curve including the ones created by over consumption of nachos. Pulling the wide stretchy straps over my shoulders completed the process. A few minor “adjustments” and I was encased in stretchy fabric. All joking aside, the Providence Bib felt really comfortable. It fit snug, but not tight and I did not feel constricted or constrained in any way. I was really curious to see how they would actually feel when riding. And they kinda made me look thinner. 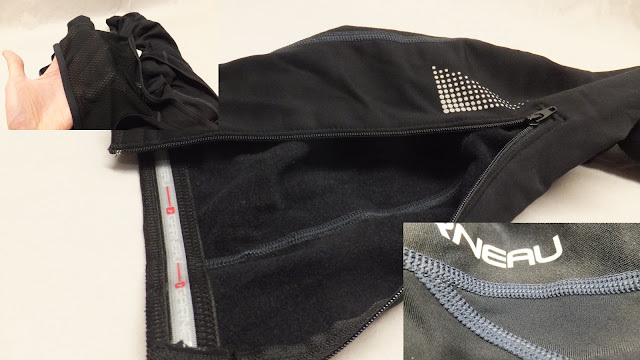 Designed to wear over tights, the Off Season Shorts slid on effortlessly over the bib and I did not have to open the zippers in the 12” inseam to pull them on. Closing up the front of the shorts is a zippered fly, Velcro closure, snap and hook-and-eye. These shorts are definitely not going to “pop open” unexpectedly. As I tweaked the side Velcro straps for a perfect fit, I noticed that the fabric on the inner waist affixed itself to the bib keeping the shorts in place. Once adjusted the Off Season Shorts felt like they were not even there. 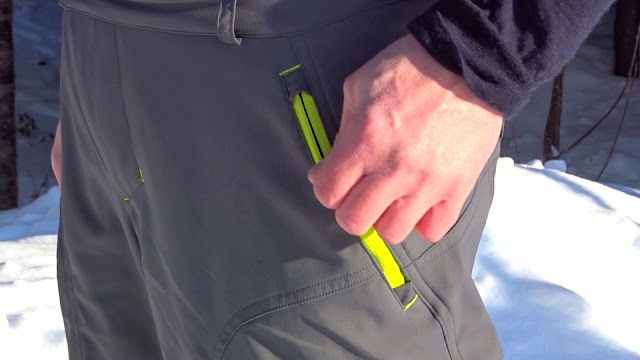 The pocket zippers were easily found with a drop of the hand, and the large O-ring on the rear waist pocket could be found with minimal searching. 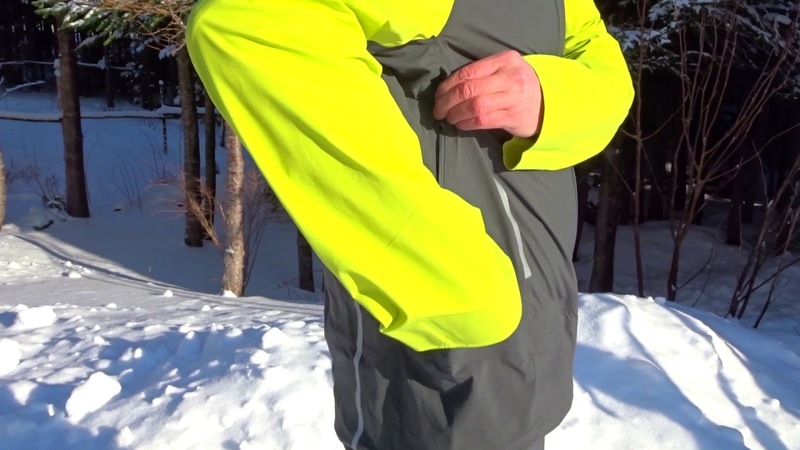 The bright yellow 4 Seasons Hoodie Jacket easily layered over the bib and shorts. It wasn’t baggy, it wasn’t tight, it just fit like a well tailored jacket with a fabric that felt very supple. Reaching inside each flap I grabbed the ends of the elastic powder skirt and closed the four snaps for a secure seal. The zippered multi-media pocket inside the jacked was easily accessible. And the front zipper securely closed the jacket up to my neck. Reaching just under the arm pit, on either side of the jacket, are the “pit zips”. I always find these a little tricky to open when wearing a jacket and these were no exception. Tugging on the zipper while slightly snaking my body I was able to successfully open and close the zips. When open I could access the kangaroo pocket inside the jacket. I then added my normal base layers for really cold weather - long sleeve T, short sleeve polyester shirt, thin merino wool sweater and polyester fleece. The added layers did not constrict my movement any more than any other shell I have worn. The hood on the 4 Seasons Hoodie Jacket is huge. I almost got lost pulling it up over my head, but when wearing a helmet it falls perfectly and the toggles help to cinch it down and keep it in place. The Klondike Cycling Shoes was the last piece of the Garneau ensemble. 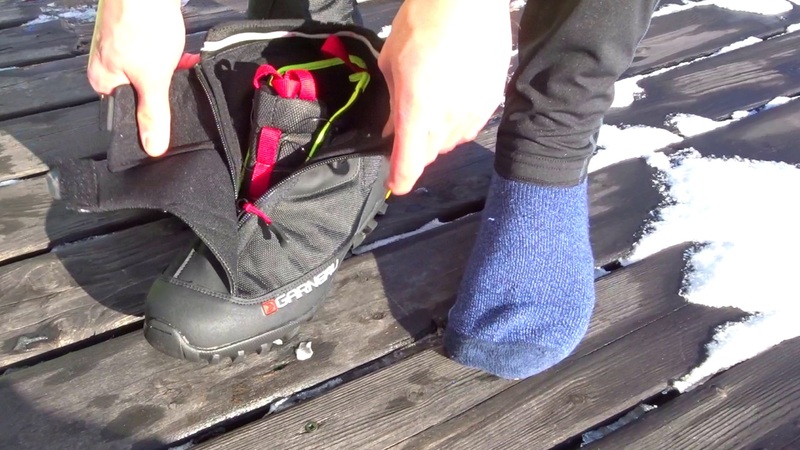 Donning two pair of socks (thin and mid-weight) I opened the side Velcro strap, peeled back the snow flap and unzipped the shoe. Pulling out on the dial loosened up the Boa system. Grabbing the pull straps I slipped in my foot and then rotated the Boa retention dial to snug up the inside bootie. 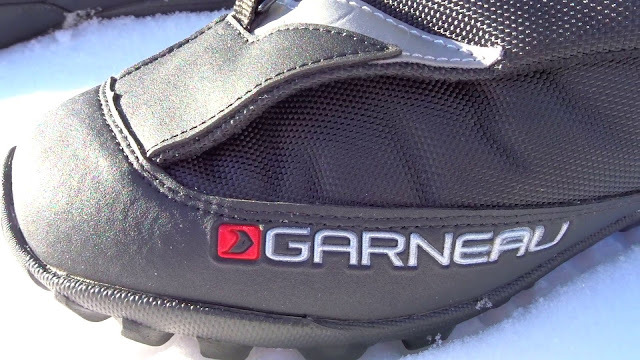 The zipper easily closed up the front of the boot and the snow flap secured with the side Velcro strap. Compared to my other winter footwear, the process did seem a little complicated for putting on a pair of boots. Walking around in the 42s, my toes felt a little cramped in the toe box. I removed the Klondikes and put them back on and had the same results. I rechecked the on-line measurements. I ordered the correct size, but they were not fitting right. I then tried a size 43 and the cramped feeling disappeared - the shoes felt very comfortable. Walking was relatively natural considering the heavy lugs and shoe fitting snugly over the ankle. As mentioned earlier, my prior riding ensembles have been an eclectic mix of gear collected over the riding seasons. It may not have looked stylish, but I felt that it worked for me. This Garneau kit is pretty sharp as all the pieces are color coordinated and designed to work with each other. 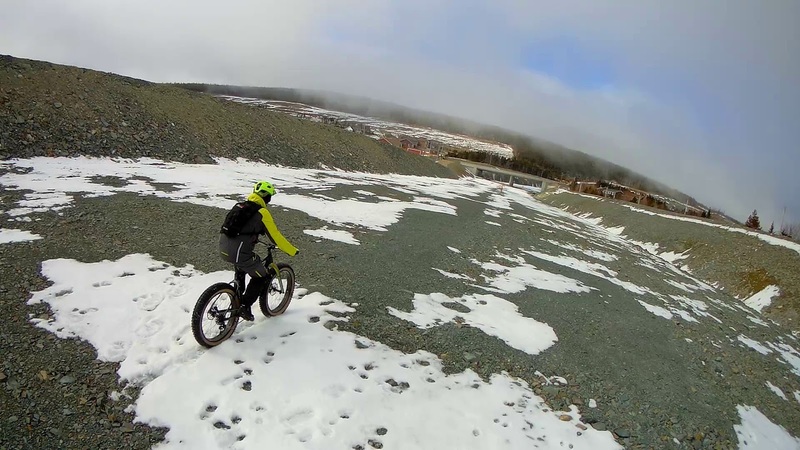 For several hundred km’s I parked my older gear and sported this Garneau fatbike collection. 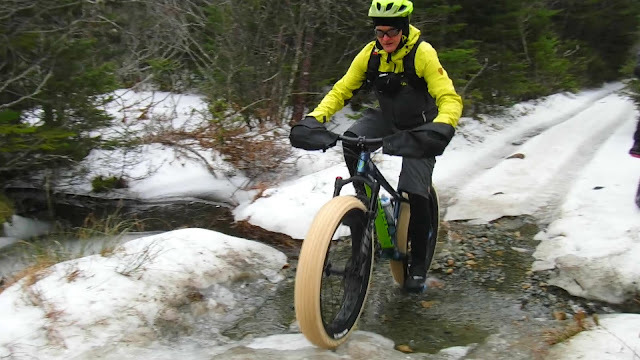 The gear was exposed to tight single track, comfortable double track, back country prowling and ice grinds. Crystal clear blue skies, ominously overcast with freezing rain, unseasonably warm to extreme cold – this kit seen all sorts of weather. The RAID Helmet easily adjusted for balaclavas and hats and those few days when additional insulation was not needed. 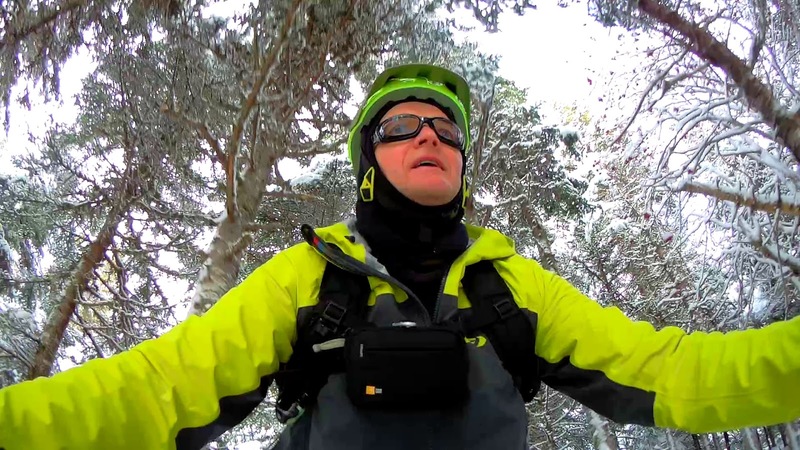 I’m happy to say that I did not have the opportunity to test the MIPS system, but the helmet did protect my head from several smacks from errant branches. It was super comfortable and quick to adjust no matter what I was wearing on my head. About half way through the review I noticed that a plastic “pin” attached to the interior lattice would slip out of a hole in the helmet just above the right ear. This only occurred when removing the helmet and would easily slip back in. I contacted Garneau and they advised that they are aware of the issue and already have it resolved in their new batch of helmets. I just happened to get one from the older batch. Go figure. 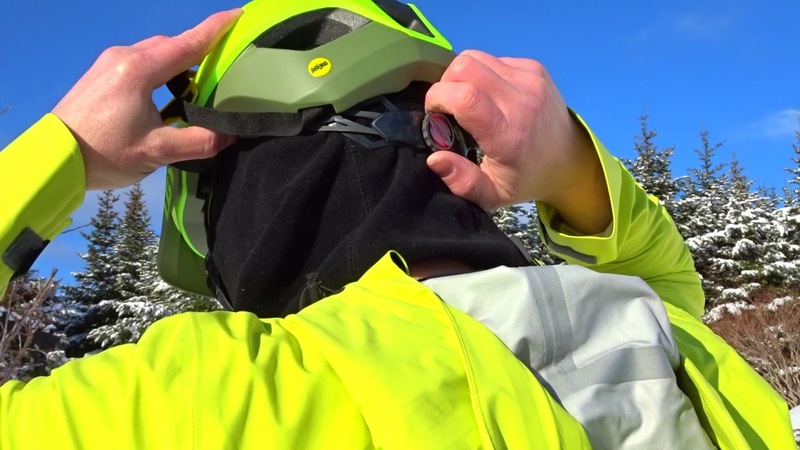 The visor is adjustable to three different positions. I can see it being pushed to one of the higher positions if wearing goggles, but I left it in the lower position during all rides. 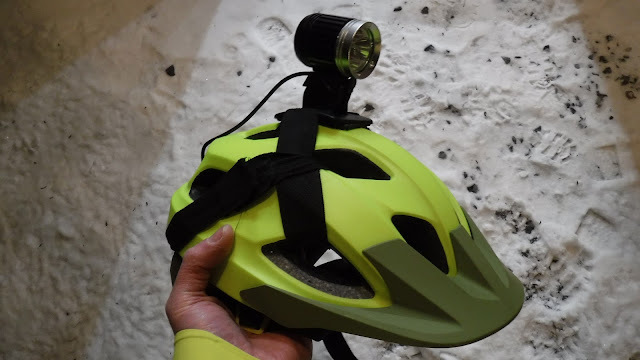 While night riding it was very easy to strap a light to the helmet using the many vent holes, and the bright color made it highly visible. I was pleasantly surprised how quickly I adapted to the Providence Bib. Being used to wearing non-stretchy clothes I anticipated needing a little time to adjust to the snugness of the bib. It actually felt normal on the first ride. They did not bunch nor did they droop and get caught in the seat while mounting, like some of my other gear would do. As anticipated, they offered full range of motion and kept my legs warm, but not hot. And the mesh upper panels kept my core from getting to warm. 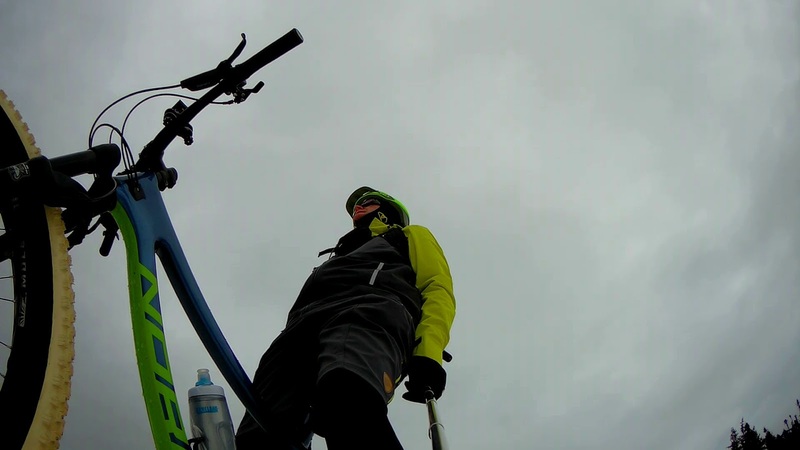 A couple of times, when venturing out in some extra cold weather, I layered a pair of cotton long johns under the bib. I probably broke several biking "rules" by doing that, but I did it anyway and I found no chafing or discomfort. Encountering freezing rain the bib seemed to shed the wet sticky snow quite well. 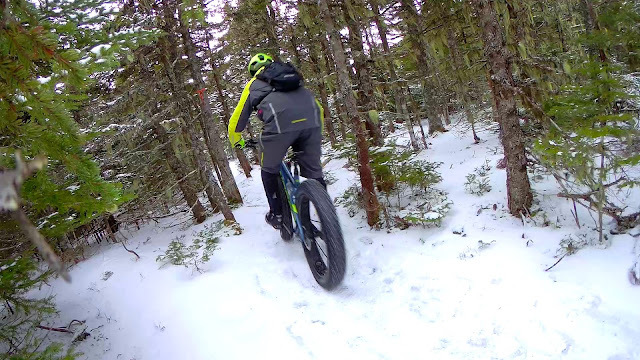 And climbing out of a snow bank, after an unexpected dismount, they dusted off quite easily. As I was wrapping up the review and planning a solo gravel/snow grind a mishap occurred. While pulling on the left leg, the seam pulled apart in the calf area. It started with a one inch section just below the knee, but quickly spread down to the ankle. 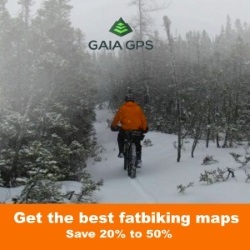 I reached out to the folks at Garneau and they were surprised. They advised that their products go through extensive testing and that they have sold this bib for a long time – I must have received a lemon. I sent the bib back to them for analysis and they confirmed it was indeed a lemon. 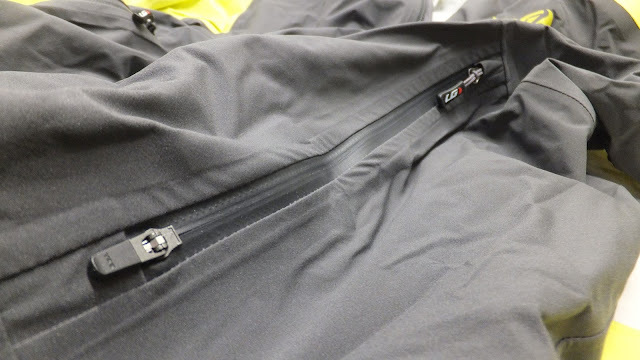 Garneau does have a 1-year warranty on their clothing products for quality issues. I swapped back to my old riding pants for that ride and quickly noticed the shortcomings of not wearing a bib. Besides the setback with the seam, the Providence Bid performed better than expected. As mentioned earlier the Off Season Shorts were extremely comfortable. After the initial adjustments with the side Velcro straps I never had to adjust them again. Although I did not use the belt loops, I can see them coming in handy when bike camping and wanting to hang some gear from a belt. 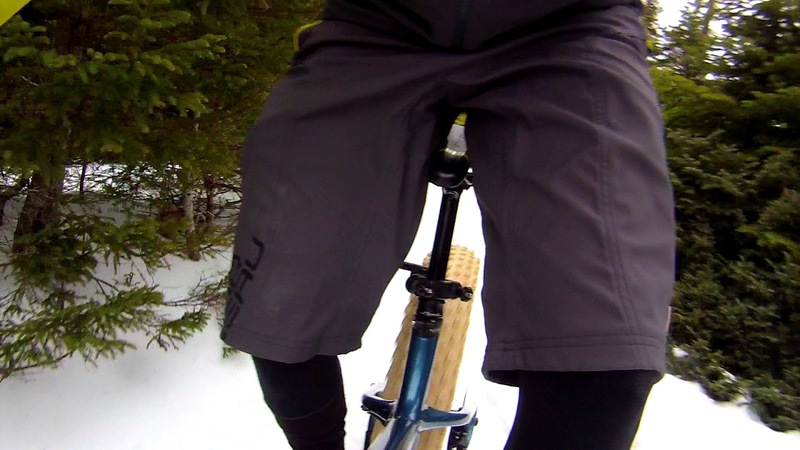 The shorts did not bunch and allowed for full range of movement while riding and walking. The zippered side pockets were plenty deep to carry some gear – I usually jammed a camera on a small tripod in one of the mesh pockets and did not need to zip them up. I did feel that the front closure procedure may be a little over engineered with the fly zip, Velcro tab, snap and hook-and-loop closures. Well, it's better than the alternative of the shorts popping open at inappropriate times. And if you happen to get caught in a freezing rain shower – no worries as the shorts shed snow and water like a grey duck. Before donning the shorts I was wondering would I ever use the zippered rear waist pocket. In all honesty it’s probably one of my favourite features. 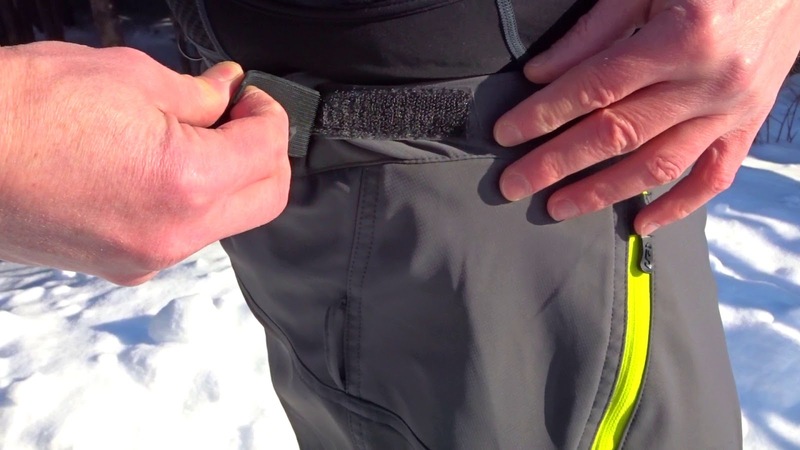 The location of the rear waist pocket kept my snacks (energy bars) from freezing, I did not have to remove my backpack to access them and my stomach and teeth remained happy. I initially had some reservations on the resilience of the 4 Seasons Hoodie Jacket as it felt very supple and not very tough. This was put to bed on the very first ride. I was riding fast on a tight single track in the woods, and cutting around this tree I was not aware that a pointy 6” nub of a branch snagged the hood. My forward momentum stopped IMMEDIATELY and I heard a rip. Shaking out the cobwebs I was expecting a long nasty tear in the hood, but upon examination there was only a thumb sized hole. 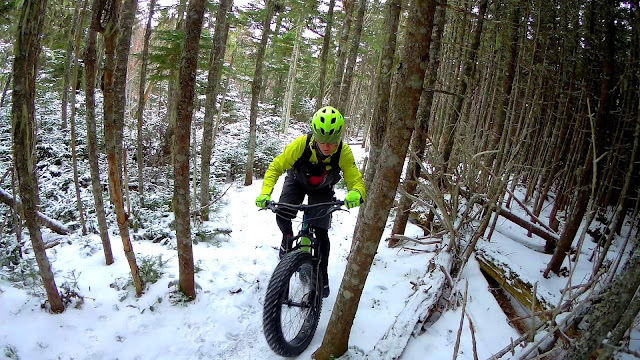 Weeks into testing there was very little wear/scuffing even after repeated scratches and scrapes from trailside “pinstriping” branches and shoulder scrubs against larger trees. This is one tough jacket. I did notice that I was wearing fewer layers under this jacket than I would under other jackets and I still stayed warm. In most cases I had to vent the excess heat. After a few rides the side zips were more easily found without searching for them. 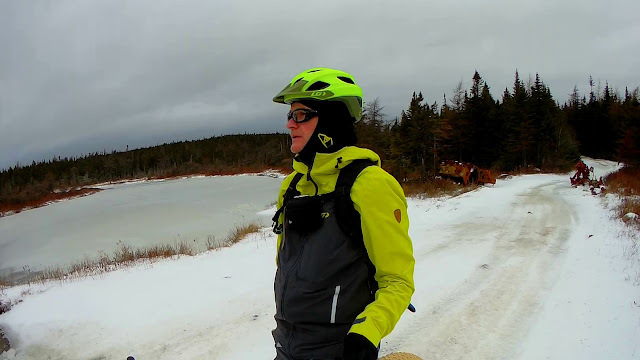 The large hood actually came in handy on one ride where the warming temperatures changed the flurries to freezing rain. Pulling the hood from underneath my backpack it easily flipped up over the helmet and cinched down with the side toggles. It kept my head warm and dry. The snow skirt was a welcome feature when crawling out of a snow bank after an unexpected dismount (or two) as snow did not get into the jacket. 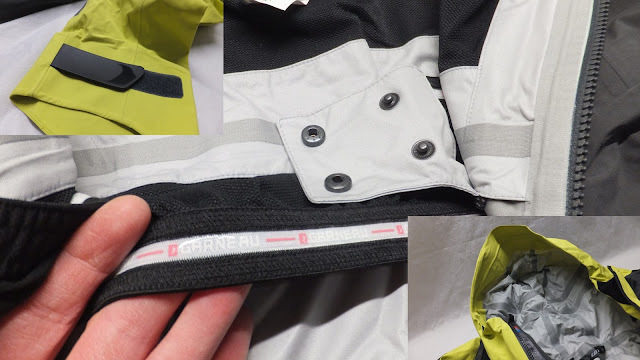 The long tail on the jacket was also appreciated as it kept rear drafts to a minimum and the front zipper was also successful in eliminating unwanted cold. While adding in the rear kangaroo pouch was thoughtful, I never did use it. 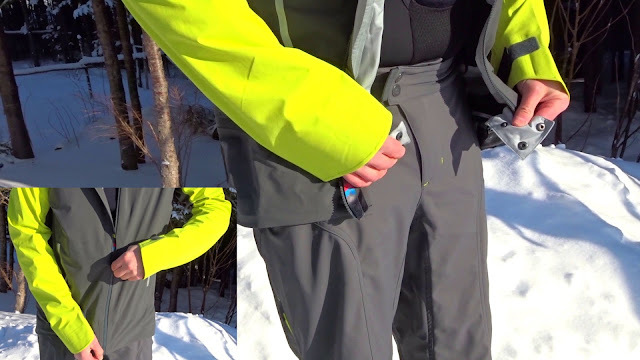 I did use the front inside pockets (accessing them through the side vents), but an externally zippered pocket would have been awesome. Sometimes a ride is more of an adventure and easily accessible on-body storage comes in handy. 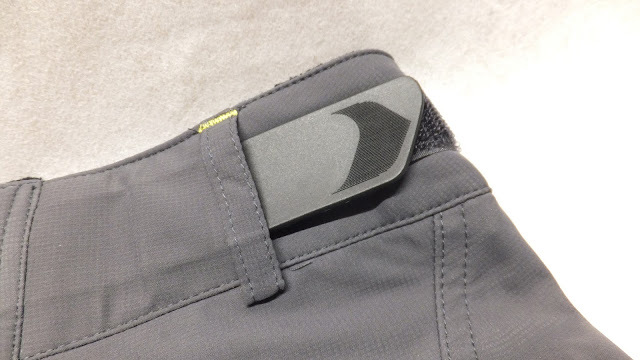 The inside zippered multi-media pocket was quite useful to carry an MP3 player or my Strava capturing device. There is even a hole to thread in a pair of ear buds while keeping the pocket zippered. Smart. And the Velcro on the cuffs was exceptionally “sticky”, yet it did snug down on winter riding gloves when coerced. 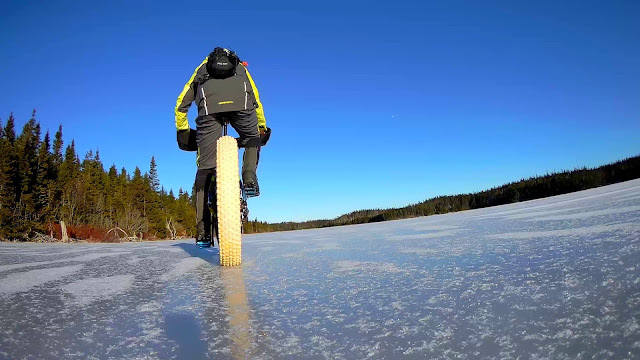 Within a few rides of wearing the Klondikes I found that the process of donning them became second nature. Sure, it’s a little more involved than just slipping in a foot and tying a bow, however the benefits outweigh the extra 15 seconds it takes to put them on. 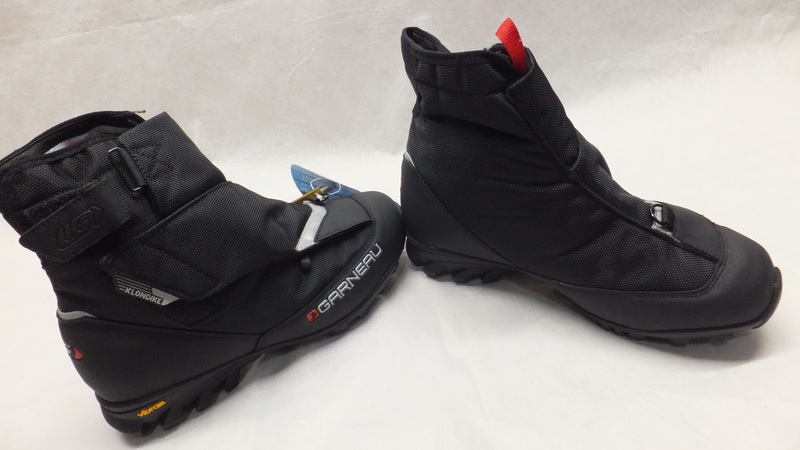 As mentioned above, Garneau refers to the Klondikes as cycling shoes, but I see anything that rises above the ankle as a boot – either way they are extremely comfortable. That is immediately evident when you get them strapped on as break-in time was pretty short. The BOA retention system let me tighten the boot as snug as I wanted, and by pulling out on the dial the tension is released. 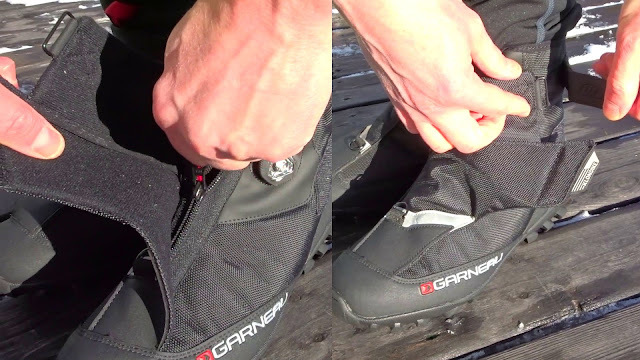 The front zipper was very robust and pulled the waterproof exterior layers of the boot together very securely. And the Velcro strap sealed the storm flap preventing anything from entering the boot. 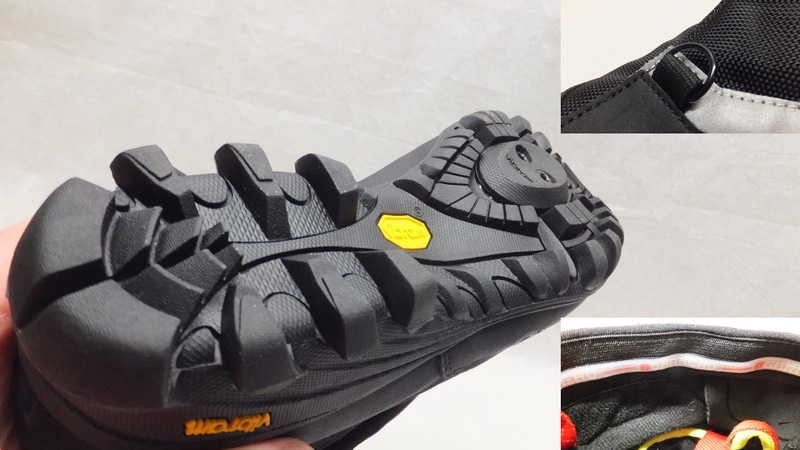 The tapered edges of the heavy lugged Vibram sole makes walking quite easy and natural. There is no “clump, clump, clump” as I have experienced with other heavy lugged boots. I would be able to walk a considerable distance in these if needed. I also noticed that the heavy lugs found a good perch on my studded flat pedals. 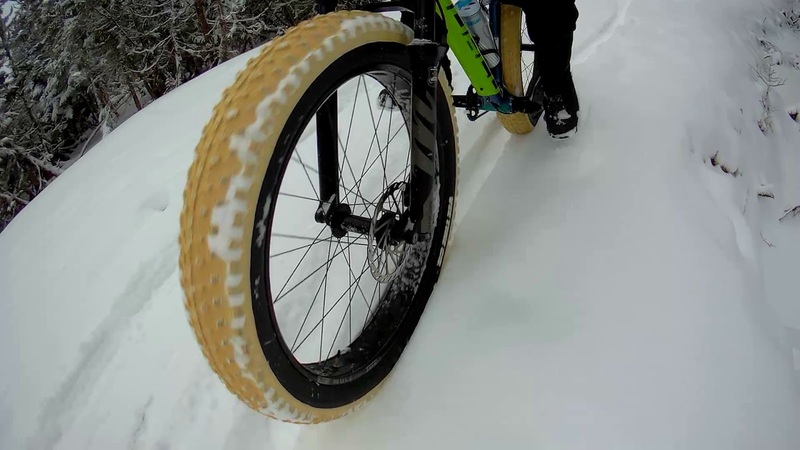 Maybe it was the composition of the rubber lugs, the placement of the lugs, or both – the Klondikes stuck to the pedals in a position that felt real. When dismounting, the lugs provided acceptable grip on everything but ice. I was not skating around, I just had to be a little more aware of my footing. Maybe some sipping or pre-drilled holes for studs would give a little more ice traction. I was a little dubious about stepping off into deep snow and getting white stuff down into the boot. 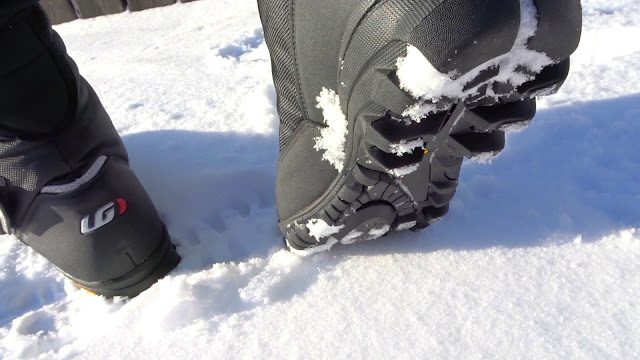 However, the gripper strip on the inside of the boot kept the leg of the bib in place and created an almost impenetrable shield to the snow. Good thinking Garneau. I did manage to accidentally dunk the boots in a slushy puddle, however my feet stayed dry. I did not notice any rubbing or slippage in the boots during any of my rides. My feet did not get cold when wearing a pair of medium weight socks over a pair of light down to temperatures of -17. 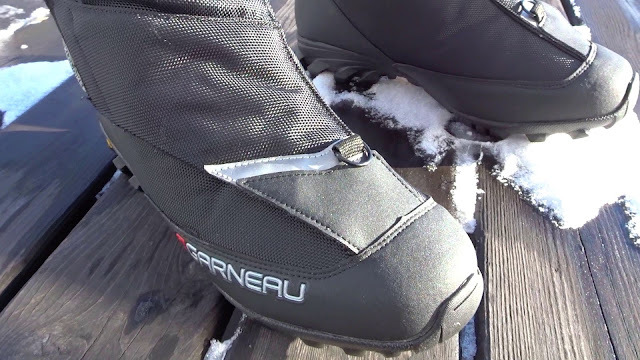 If conditions had gotten really cold I would have popped in the reflective insoles that Garneau included with the boots. For one particularly long ice grind (25km on glare ice lake) I swapped the Klondikes for my older footwear as they were studded. It was quickly evident that the Klondikes were vastly superior in comfort. 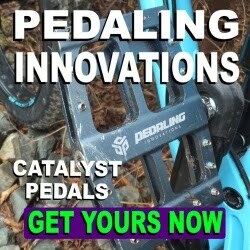 Garneau has been in the cycling business for a long time and they put considerable thought and design into all of their technical product lines. Their sizing charts for garments are accurate and the clothing fits as expected. Helmet sizing was also true, while the shoes tested needed to be bumped up a size. 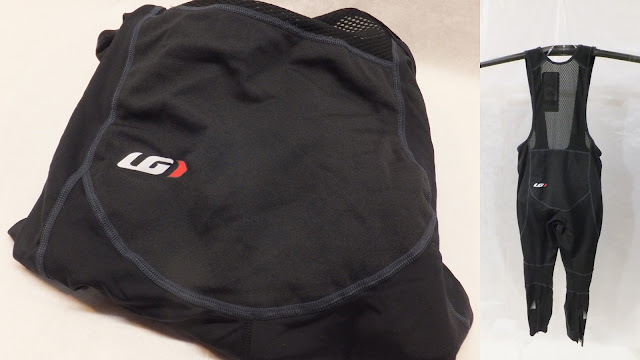 The busted seam in the bib was unfortunate and the helmet issue has already been addressed - but these hiccups aside - Garneau’s technical clothing is overall durable, functions well and protects you from the elements. And let’s not forget the yellow and grey color scheme looks pretty sharp. While there are benefits of having a complete outfit from one manufacturer, each of the Garneau products tested stand on their own merit and could easily be incorporated into your current fatbiking wardrobe. 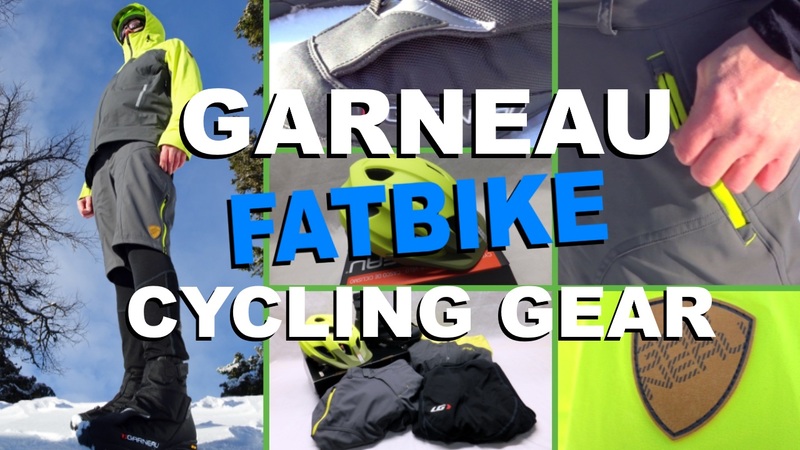 So if you are looking to completely update your kit, or add a piece or two to your current ensemble, be sure to check out what the folks at Garneau have to offer. The kit looks sharp. How did the boots perform on flats? Any concerns? No concerns besides the sizing glitch. 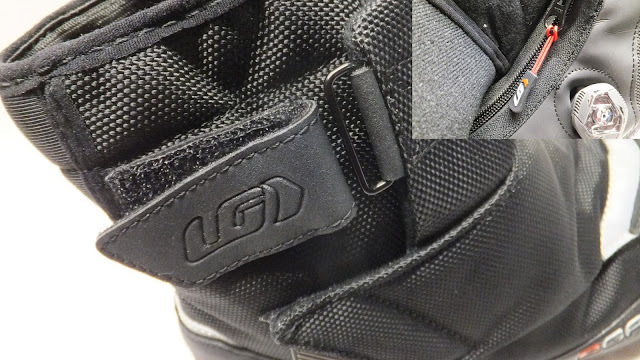 The SPD "block" does not get in the way like some other shoes/boots. Super comfy also. It’s really great information for becoming a better Blogger. Keep sharing, Thanks. For more details to visit bike riding jackets India.